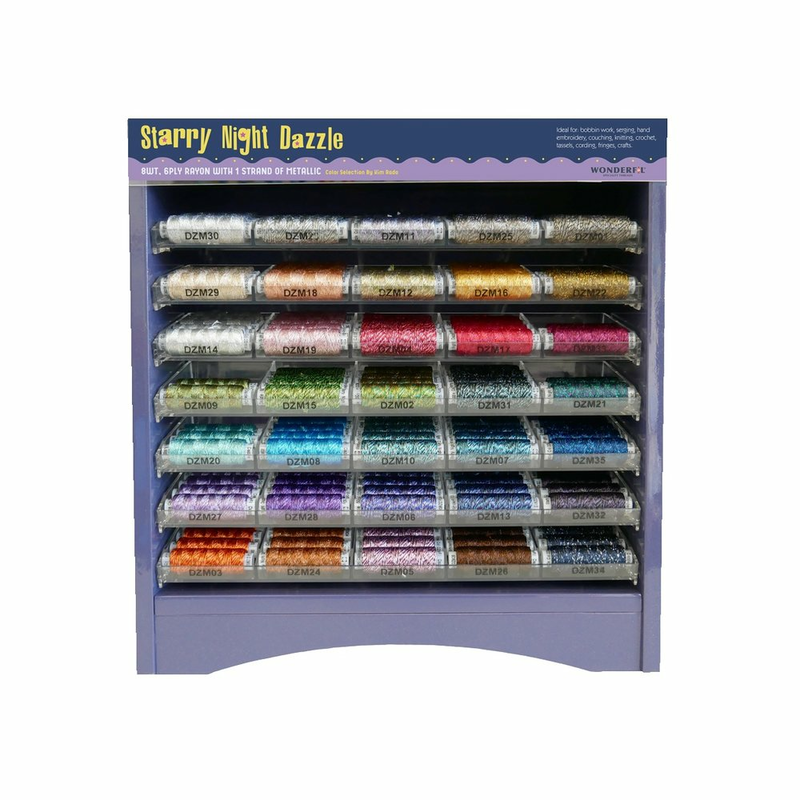 WonderFil Specialty Threads offers a wide selection of ultra lite cabinet (ULC) displays. Compact enough to sit on a countertop without taking up much space, they are also engineered to be light enough for easy portability to trade shows and events. 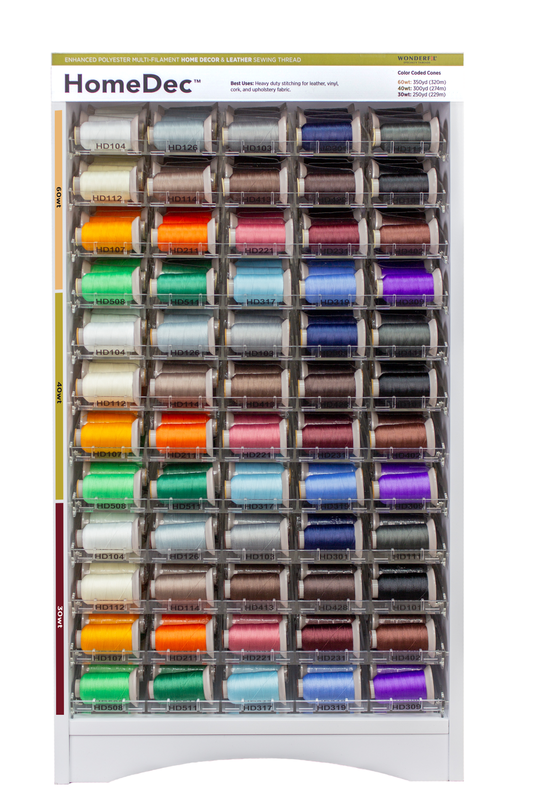 Offers a rolldown display that showcases thread colours well and makes for easy retrieval and stocking. Intended for wholesalers to place in a retail space. Ultra Lite Cabinets (ULC) are WonderFil's™ revolutionary rolldown displays for a maximum visual of colours as well as easy retrieval and stocking. Simple and sleek, they are compact enough to sit on a countertop without taking up much space and are engineered to be light enough for easy portability to trade shows or other events.